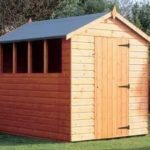 All our sheds are delivered flat packed with ready built side walls, floor panels and roof panels. The floor and roof sections are constructed from timber not sheet material. The felt for the roof comes ready cut to size and our sheds are supplied with glass for the windows. All fixings and instructions are supplied on delivery. 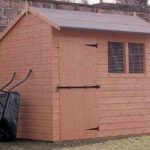 Built with the convenience of having double doors, this shed has great head height and a character that stands out. Sizes 6×8-12×8 available. Built with the convenience of having double doors. Taller than average this strongly built workshop with double doors provides secure storage and extra high internal working space for the home craftsman or professional. sizes: 7’x5′ to 20’x10′ models available. Complete with extra height double doors. 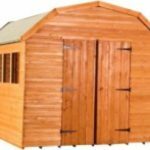 The super pent shed has a modern practical design. Available with optional alternative door positions and as a wide variety of sizes. Standard door position is that shown, right hand side front. sizes: 6’x4′ to 12’x8′ models available door: standard position door, other door positions available. 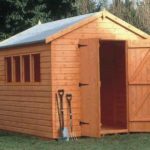 Traditional style garden shed with plenty of light and headroom in a vast range of sizes. The door will go on either end and windows will go on either side. Options: Sizes: 4’x4′ to 12’x8′ models available. Door: Door can be positioned at either end.